All copies purchased through the link below are signed and can be personalised – Just let me know if you would like a specific message in the paypal checkout. ‘A woman’s perfume tells more about her than her handwriting;’ Christian Dior. 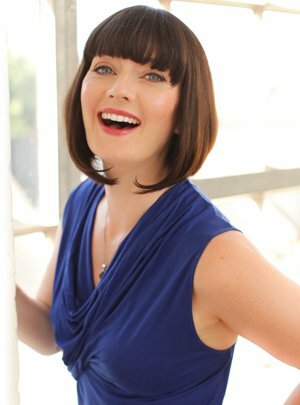 At a time when advertising bombards us with the hard sell for the latest celebrity perfumes, fragrance expert Karen Gilbert shows how to create and blend your very own signature scent. 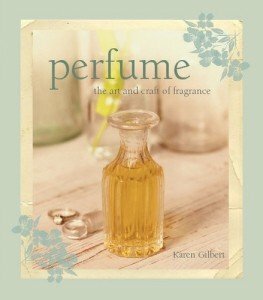 Perfume: The Art and Craft of Fragrance introduces us to the psychology of smell and explains how fragrance can influence our moods and behaviour, and gives a brief overview of perfume through the ages. A key chapter teaches you how to train your nose to recognise the five different fragrance families (floral, oriental, citrus, chypre, fougere), and how to identify the top, middle and base notes of a perfume. Once you have understood the basics of how to build a fragrance, learn how to layer scents by creating perfume oils, sprays and solids, plus scented bath and body products and home fragrance sprays from the easy step-by-step recipes. Illustrated throughout with charming artworks and photographs, Perfume: The Art and Craft of Fragrance is the perfect introduction to the art and romance of creating perfume.